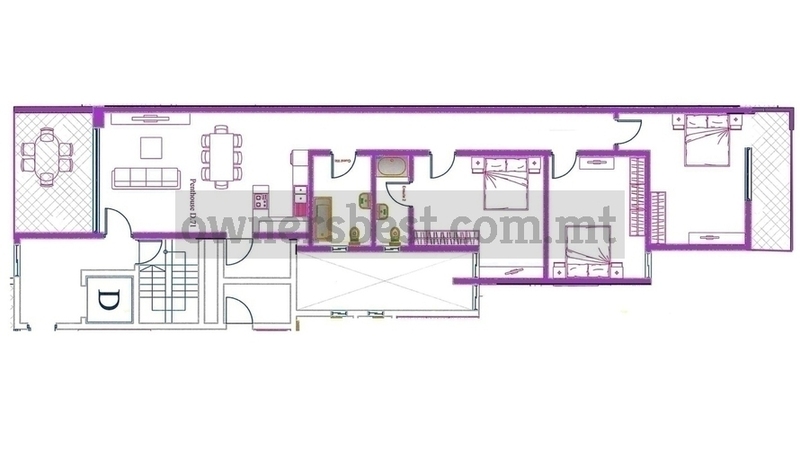 A PENTHOUSE on the SEVENTH floor, in a prestigious block situated in Mellieha with open views. Accommodation consists of a large front terrace, large open plan kitchen/living/dining, 3 double bedrooms, ensuite, main bathroom and a good sized back terrace. This property has a total area of 178sqm and is going to be sold including bathrooms and doors. Definitely must be seen. Freehold.